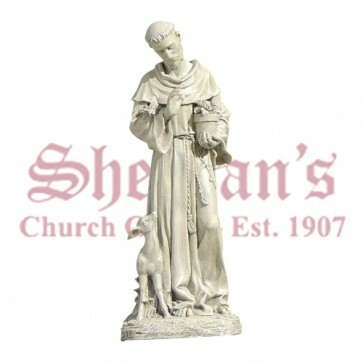 The Saint Francis with the Animals Garden Statue highlights the gentleness of St. Francis. The statue depicts Saint Francis holding a pot of flowers while a butterfly sits on his arm and a fawn poses near his leg. The beautiful statue will bring serenity to its surroundings, whether it is used indoors or outside in the garden. 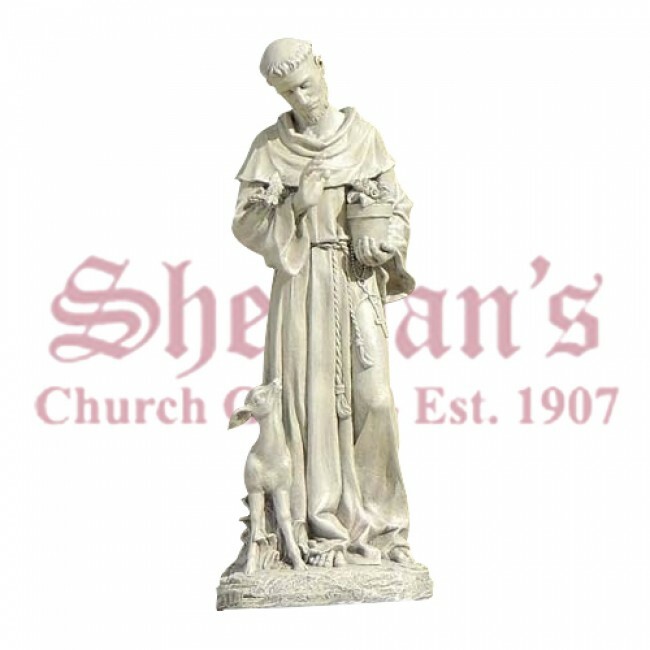 The detailed figure is made of a stone mixture that is weather resistant and durable. The natural finish looks great in any environment and is sure to become the centerpiece of your garden.